I LOVED this bread. It reminded of the Amish Friendship bread. This was very easy to make. It is perfect to eat for breakfast or for a snack. First mix the starter ingredients together. Next mix the oil, milk, eggs, and vanilla with the "starter". In a separate bowl, mix the flour, sugar, baking powder, cinnamon, salt, baking soda, vanilla pudding mix, and nuts. Next add it to the the liquid mixture and stir thoroughly. 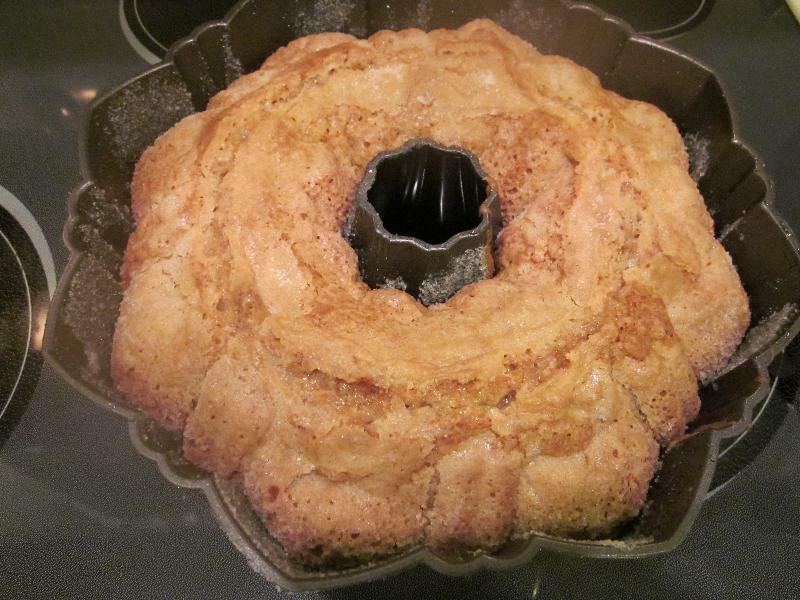 Then pour into two large well greased 9x5 inch loaf pans, or one Bundt pan, or 48 muffins. Finally bake for one hour or until done. The muffins will take about 30-35 minutes.